Julianne Moore arrived at the Landmark’s Sunshine Cinema in New York City last night for “The Kids Are All Right” movie premiere. 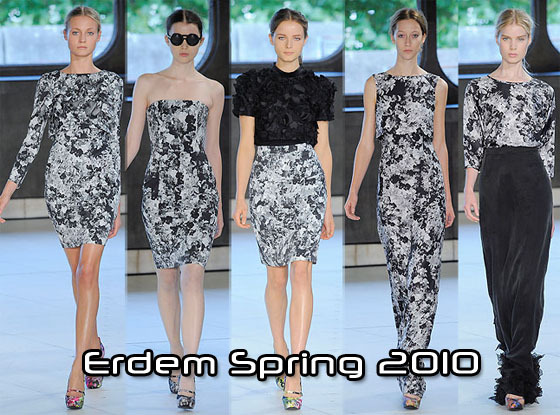 The actress wore a custom-made Erdem Spring 2010 gown. Her stunning gown used the same black and white floral print from the runway, to create her plunging gown with a black trim. Julianne kept the look very simple just adding a black clutch to her look. Do you like her custom gown, or would you have preferred her to wear one of the runway pieces?